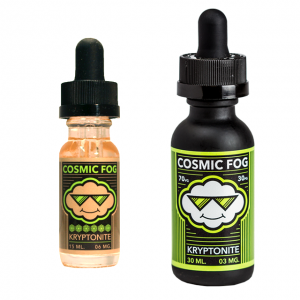 The inhale and exhale of this vape juice has a reach taste of ripe juicy mangosteen. It is one of the most delightful exotic fruit flavors. Super Salt E Liquid Mangosteen e-juice is a good way to get endless tropical fruit flavor enjoyment. This is an e-liquid made with nicotine salt to provide you fast satisfaction. The inhale and exhale of this vape juice has a reach taste of ripe juicy mangosteen. It is one of the most delightful exotic fruit flavors that you can transfer you to tropical islands. Super Salt E Liquid Mangosteen e-juice is suitable for pod mod setups and low power devices. Two available nicotine levels are – 30mg and 50mg. You are free to choose the one according to your needs. In terms of packaging, the Mangosteen comes in a convenient in use unicorn bottle with 30ml e-juice inside. If you want to be blown away with a tropical fruit flavor, Super Salt E-Liquid Mangosteen nicotine salt based e-juice is a perfect choice!